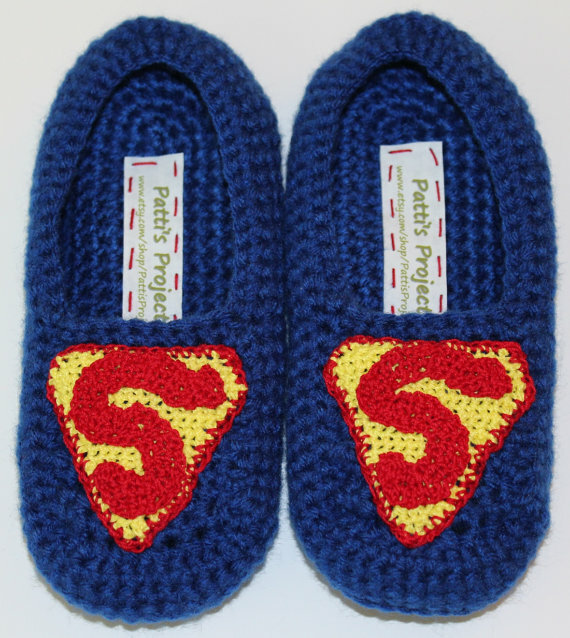 Crocheted Men's Slippers Home | About Us | Opportunities | Sponsorships | Contact Us! These super comfy slippers are great for any guy. It is 100% acrylic yarn with ribbed sides and different colors, a tongue and button strap, and cinched heels for a perfect fit, these make a great gift (or just a surprise!). Slippers are basically one size fits all, as they stretch with larger sizes. If you feel that you have a significantly small or large foot, just let them know in the “note to seller” option at check out or request a custom order, and they can adjust the size! 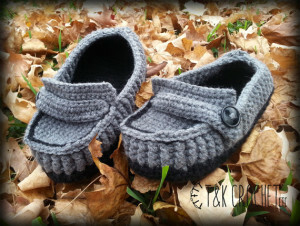 If you are on the lookout for a quality Crocheted Men’s Slippers, check out the slippers featured here. Just click the image below to learn more about the product and the master who crafted it. Don’t forget to vote for your favorite at the bottom of this post and give your support to the hard working master! 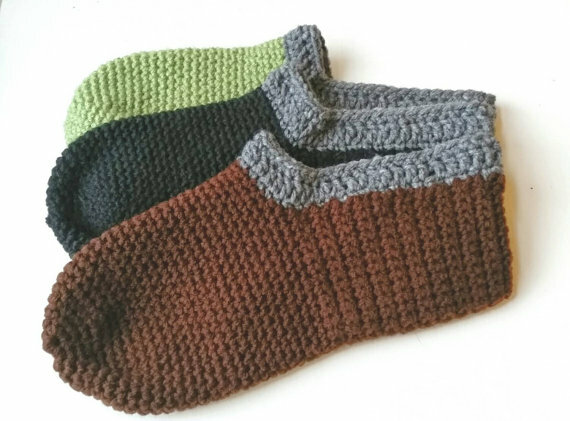 IF quality is your aim and you are looking for the perfect gift any of these Crocheted Men’s Slippers are a fantastic idea. Which case do you like best? Vote below to give your support for the artisan shop that made it! Thanks so much for including T&K’s slippers!